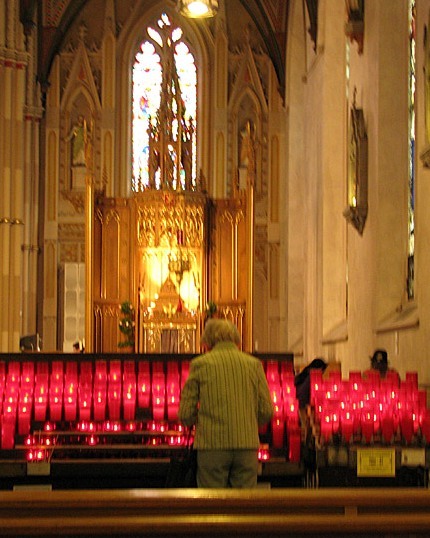 You can see prayer candles in most Catholic churches. 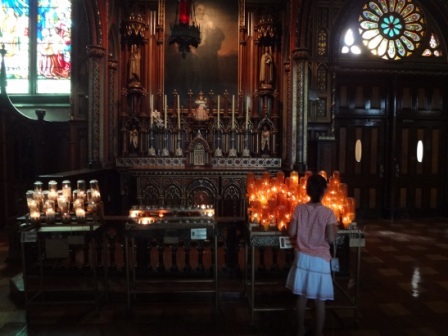 The candles are usually placed before statues of saints or at shrines. The practice of lighting candles probably has its origins in the custom of burning lights at the tombs of the martyrs in the catacombs. The lights burned as a sign of solidarity with Christians still on earth. Because the lights continually burned as a silent vigil, they became known as vigil lights. 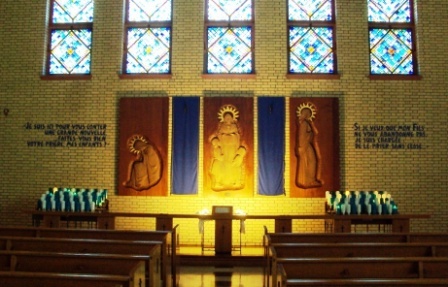 Vigil Lights (from the Latin vigilia, which means "waiting" or "watching") are traditionally accompanied by prayers of attention or waiting. Another common type of candle offering is the votive light. Such an offering is indicative of seeking some favor from the Lord or the saint before which the votive is placed.